1.00 The purpose of this policy is to ensure that all Construction activities at Laurier are carried out safely and in compliance with the provincial Occupational Health and Safety Act and its Regulations. Constructor: means a person who undertakes a project for an owner and includes an owner who undertakes all or part of a project by himself or by more than one employer. 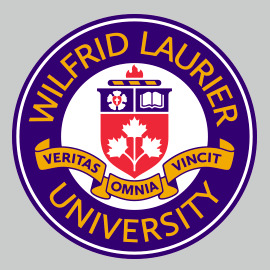 Contractor: a company or person who is retained under contract to perform, wholly or partially, work activities on premises occupied by Laurier. For the purpose of this procedure, Contractor includes but is not limited to, vendors, service providers and general and trade Contractors. Construction: includes erection, alteration, repair, dismantling, demolition, structural maintenance, painting, land clearing, earth moving, grading, excavating, trenching, digging, boring, drilling, blasting, or concreting, the installation of any machinery or plant, and any work or undertaking in connection with a project. (c) any work or undertaking, or any lands or appurtenances used in connection with construction. Project Administrator: any University employee who is arranging, approving or supervising contracted work performed at Laurier. Supervisor: means a person who has charge of a workplace or authority over a worker. Subcontractor: means any person or entity having a contract with the Contractor or another subcontractor to perform a part or parts of the work. Contractors and subcontractors engaged by Laurier or working on Laurier’s premises. 4.01 No Construction work or activities shall take place without prior consultation and approval of the Assistant Vice-President (AVP): Physical Resources or designate. Safety, Health, Environment and Risk Management (SHERM) will assist Physical Resources in ensuring compliance and enforcement of this policy. 4.02 All Project Administrators must ensure that Contractors and/or Constructors performing construction work or activities at Laurier are fully qualified to carry out the work in a safe manner, and that they complete all required documentation and training as described in the Contract Labour Program. 4.03 Before beginning a Project, the Project Administrator must provide the Constructor and if Laurier is the Constructor, all contractors and subcontractors for the project, a report outlining all designated substances and other hazardous materials that are present at the project site. If the project is tendered, this information must form part of the tender package for prospective constructors, contractors and sub-contractors. If it is not a tendered project this report must be given prior to beginning any work. 4.04 All Constructors, Contractors and Subcontractors must complete the contractor orientation provided by the Project Administrator and/or SHERM department. Further information about contractor orientation can be found in the Contract Labour Program. The orientation outlines topics covered in the Laurier “Contractor Safety Guidelines” booklet as well as permits required by Laurier (e.g. hot work) and provides a review of hazardous materials that may be encountered at the work site. The Project Administrator or SHERM will collect and maintain a sign-off from the Contractor that they have received all documentation as set out in the Laurier Contract Labour Program and understand and agree to abide by Laurier’s policies. 4.05 It is the responsibility of the Constructor and/or Contractor to ensure all sub-trades are provided with information and instruction regarding the material in the “Contractor Safety Awareness Orientation” prior to the start of work. The Constructor and/or Contractor must confirm with SHERM and/or the Project Administrator that all sub-trades have signed-off that they have received all documentation as set out in the Laurier Contract Labour Program and understand and agree to abide by Laurier’s policies before the sub-trades commence work. 4.06 Violation of Laurier’s policies, safety rules, and guidelines will result in the immediate stoppage of work, suspension, or termination of the contractor’s services or project. 4.07 It is the responsibility of all Laurier personnel to immediately report any unsafe conditions or activities by Constructor and/or Contractor personnel to their supervisor, Project Administrator or Laurier’s Physical Resources team. All injuries must be reported to the Project Administrator and SHERM. The Constructor is responsible for ensuring that injuries and incidents are reported to the Ministry of Labour and other external parties and followed up, as required by law. Where the actions of a constructor are not sufficient to ensure the ongoing health and safety of workers, a meeting will be convened between the project administrator, the constructor and SHERM. If the meeting does not facilitate an agreement on actions required to ensure the health and safety of workers or the construction site, external resources may be contracted to provide direction related to the concern. This may include legal counsel, health and safety consultants, or the Ministry of Labour. 4.08 It is the responsibility of the Constructor and, when Laurier is the Constructor, the Project Administrator, to oversee and evaluate the Contractors safety performance. This may include on-site coordination, appointment of supervision, monitoring work activities in particular those with increased risk to safety, and discussing safety issues and concerns at meetings between Laurier and the Contractor(s).